Are SEO and Social Media Marketing Connected? A question that has been weighing on everyone’s minds for years - Does Search Engine Optimization (SEO) and Social Media Marketing influence each other? We’ve heard you and today’s Walibu Wednesday is the answer to your question. Let us start byhighlighting the main functional difference between how SEO and Social Media Marketing works. Search Engine Optimization – Finds consumers when they are actively looking for your products and/or services. For example, if I am looking for a traditional Italian restaurant, I will Google it, will click one of the websites from the first page and book a table. Here SEO helped the restaurant get new customers. Social Media Marketing – They are incidental, appealing and grab the attention of people while they are performing social browsing tasks. For example, if I'm just casually browsing my Facebook and I come across a post from a nearby Italian restaurant, they have some promotional limited-time offer and I decide to dine there. Here Social Media Marketing helped the restaurant get new customers. It is a very common misconception that SEO and Social Media are separate entities, operated in a separate environment with distinct goals. But the truth is “SEO and Social Media Marketing work together to create value and provide relevance for your audience”. Below are some great pieces of information that will help you explore how SEO & Social Media together can bring more visitors to your site. The most useful aspect of this combination is that social media is the best place to share content with your audience. You might have new products, services, videos, photos or blogs of great quality added and optimized to your business website on regular intervals, but people won’t visit your website regularly to see if you have something new and you won’t get many eyes and ears consuming it. Social media is the most effective way to push out your SEO-based content. Social Media helps you share the quality content you have on your website with the whole digital community, and you have an opportunity to get new customers anytime. The second effective way that social media can improve your SEO is through increased engagement. If someone on social media finds your post interesting and shares it, this engagement is a signal to search engines to rank you. Engagements are the oxygen to your social media presence. When people engage with your brand, your online reputation improves. As you reach higher numbers of people, your content ranks better in search results and eventually your SEO improves. Sometimes Social Media shares can lead to authentic high – quality links from influential accounts. At times accounts with a huge number of followers might like your content and link you on their accounts or websites. Such instances will automatically encourage similar influencers to link to your content and this magically increases your authority in Google’s eyes. The catch is having interesting and original content that can create engagements. Social Media highly contributes to improving brand awareness by allowing you to constantly nurture and grow a community around your business page. Branding and SEO goes together as both are driven by your reputation. 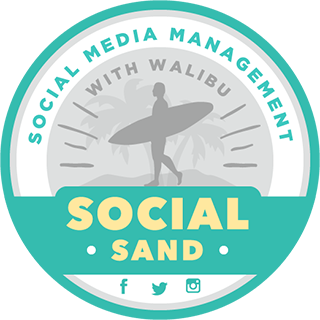 Actively posting engaging content on social platforms leads to increased brand presence. More branded presence will lead to more people knowing your brand name and searching your directly on Google. These branded searches will eventually improve your authority and will lead to rank you for general search queries in and around your industry. The combination of SEO and Social Media Marketing has the ability to serve as an invaluable tool over time! 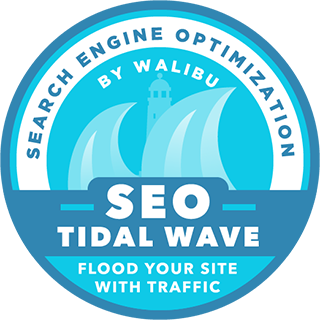 Walibu can help you set up and maintain a strong SEO foundation and campaign that can keep your business readable and reachable online. 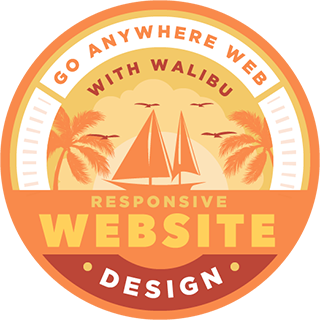 To get started, Click Here to complete a quick SEO questionnaire for your business website or you can also email us at team@walibu.com and we will get back to you right away!